A few days ago a bunch of members of the gaming press went and played Ubisoft’s upcoming tactical shooter/RPG Tom Clancy’s The Division. Let’s see what they thought of it. We didn’t attend the preview event (obviously) but the embargo lifted this morning and there are enough substantive hands-on demo videos out there that I figured I’d embed a few and let y’all check them out. The game itself is billed as a tactical, online action-RPG. Formula-wise, it looks like a cooperative third-person Tom Clancy cover-shooter (Ghost Recon seems closest) mixed with a Destiny-like XP/loot/leveling system. Lots of numbers flying off of enemies there. Will all online shooters have numbers that fly off their enemies? Possibly. 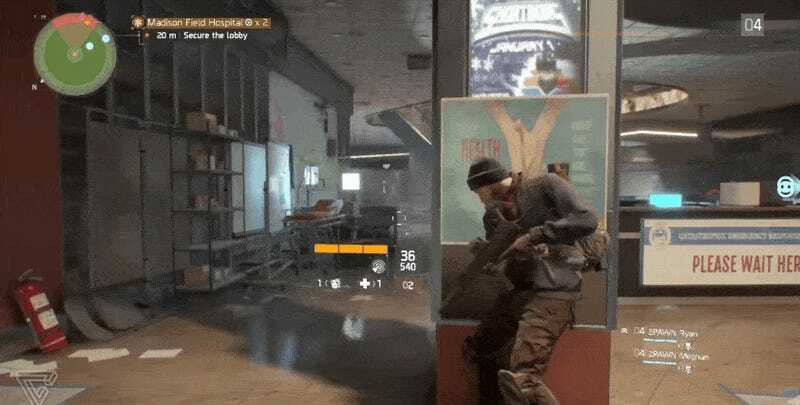 GamesRadar has put together a video comparing the version they played with the version Ubisoft showed at E3, and, yeah, pretty noticeable difference there. Some of that could be the difference between console and PC versions, mind. If you’re more of a reader than a watcher, Rock, Paper Shotgun has a solid written preview of the game, which they say works pretty well. IGN also wrote it up. I’m looking for a new game to fill the Destiny-shaped hole in my gaming schedule. Not sure yet if this’ll be the one. How do you all think it looks?